Are you interested in innovation? Do you have a business idea? Do you want to think like an entrepreneur? Have you heard of Lean Canvas? 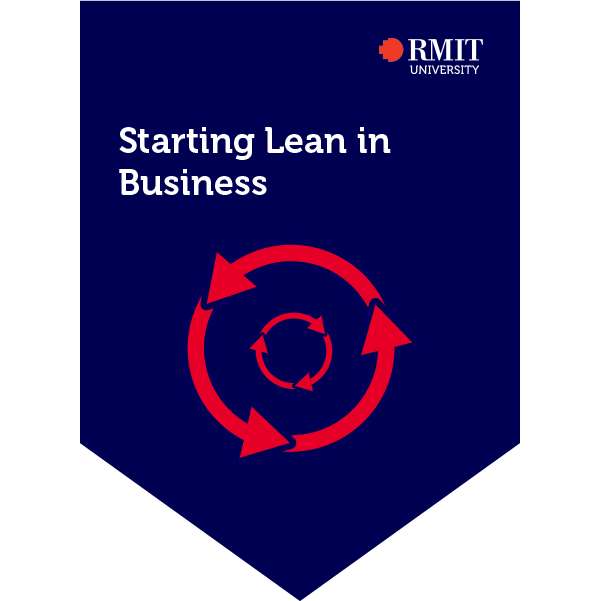 This course will help you understand how to develop a business idea using the Lean Canvas business model to determine its desirability, feasibility, viability and pitch. You will learn about the business life cycle, the importance of your value proposition and how to analyse your target markets. Discover what it means to 'work lean' and learn what's required to develop a business plan using Lean Canvas. Analyse what makes a business viable, feasible and desirable. Assets were developed throughout the course demonstrating an understanding of creating a Lean Canvas. This Credential is endorsed by REA Group.